Each Christmas Holiday Season the College Park (MD) Aviation Museum has a "Trains and Planes" display, featuring the National Capital Trackers. 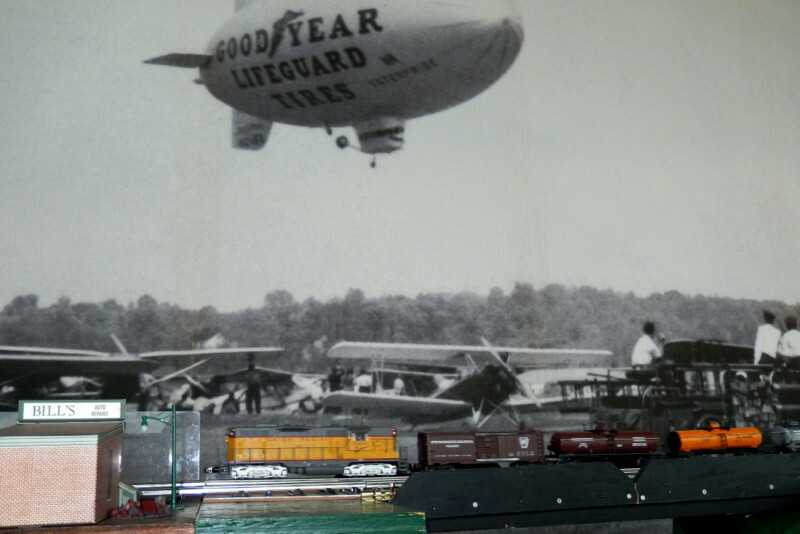 Here a Lionel UP GP 7 takes its freight across the bridge and "under the blimp." Photographed by Bill Hakkarinen, December 17, 2013. Added to the photo archive by Bill Hakkarinen, December 18, 2013.